One word of warning: This only works if your images are large enough. In order for the image to display at full quality, it has to have the same resolution, or number of pixels, as your display. Otherwise, the image may look stretched or blurry. For more information on choosing the correct image size, check out this useful blog post from Microsoft. The post is a little old, but it’s still accurate. You might already be familiar with PowerPoint’s theme fonts. 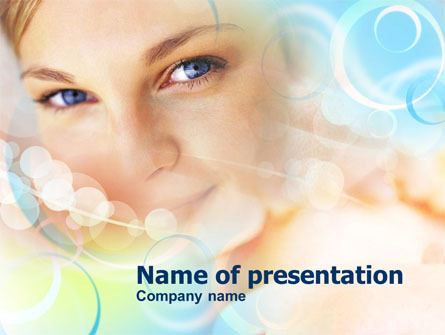 Each PowerPoint theme includes a pair of fonts — one for headings and titles, and another for bullet points and paragraph text. Including more than one font is key to making your slides look well-designed. However, many of the default font pairs are a little bland. Why not use some different fonts? Websites like DaFont and FontSquirrel have thousands of beautiful fonts you can download for free, and the Internet is full of resources to help you learn how to choose which fonts to use. You can even find plenty of suggestions for font pairings that work well (Google “font pairings” for more ideas). Once you’ve found some fonts you like, you can even customize the PowerPoint theme fonts to include your favorites.